2017 will be a decisive year for global agriculture and trade. Recent political changes will have a profound impact on the way we produce and distribute food. In this, Asia will play a critical and leading role as it has more than half of the world’s population, besides being a region of fast growing economies, environmental challenges and increasing political power. 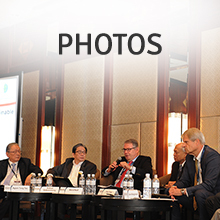 At this year’s conference in Singapore, the World Agricultural Forum (WAF) will provide new insights on how governments, the private sector and non-governmental organisations are preparing for the future of agriculture and trade in Asia. To be co-hosted by the S. Rajaratnam School of International Studies (RSIS), Nanyang Technological University, on 6-7 July, the conference will serve as a global platform to encourage dialogue among those who can and will create an impact. 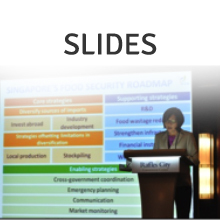 It will brainstorm the following themes: 1) Agriculture and Food Trade in the New World Order; 2) Imperatives for Securing the Food Production Base; 3) Technologies to Promote Sustainable Farming and Food Security; and 4) Good Governance, Partnerships and Agricultural Productivity. It will also seek to provide recommendations for policymakers and investors and to conclude with a Summary of Conference Proceedings and a WAF Chairman’s Statement. Political and business leaders around the world will benefit from this event as the World Agricultural Forum is a unique platform where new thinking and networking converge. The WAF is the recognized global organization that brings world leaders together from across value chains and between public and private sectors and civil society, in achieving a food secure world. The S. Rajaratnam School of International Studies (RSIS) is an autonomous school within the Nanyang Technological University in Singapore. RSIS’ mission is to be a leading research and graduate teaching institution in strategic and international affairs in the Asia Pacific. Learn about opportunities for cross-sectoral cooperation and multi-stakeholder partnerships. Click here to download full programme agenda. World Agricultural Forum 2017 – Knowledge Intensive Agriculture: The New Disruptor in World Food? 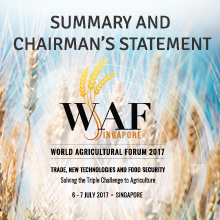 The WAF is the recognized global organisation that brings world leaders together from across value chains and between public and private sectors and civil society, in achieving a food secure world. For enquiries, please contact: [email protected].